Bridget Poznanski, B.S. is a student in the Clinical Science Ph.D. program at Florida International University. Bridget completed a Bachelor of Science (B.S.) degree in Psychology at Fordham University. 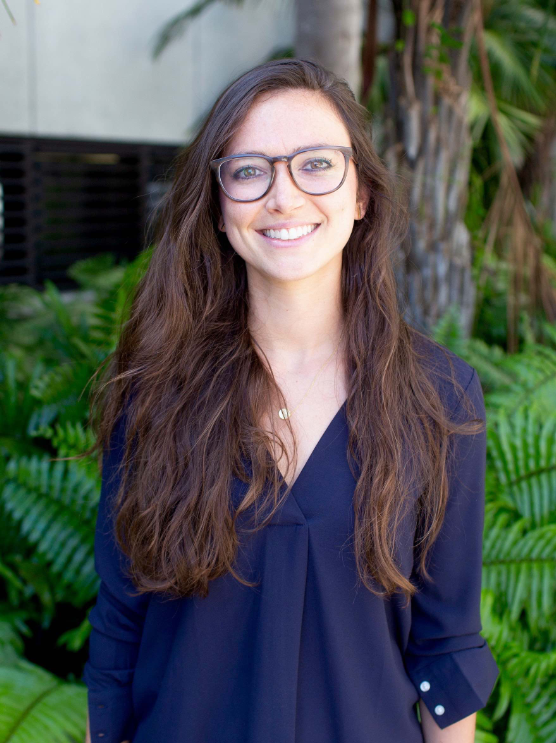 Prior to FIU, Bridget was a research assistant for Joshua L. Brown, Ph.D. at Fordham University and a behavioral counselor at New York University’s Summer Program for Kids (SPK) for children with disruptive behavior disorders. She also worked as the program coordinator for New York-Presbyterian Hospital’s Youth Anxiety Center (YAC) at the Columbia University Clinic for Anxiety and Related Disorders (CUCARD) under the mentorship of Anne Marie Albano, Ph.D.
Bridget’s research interests broadly center around the delivery of evidence-based interventions for young children with externalizing and internalizing behavior problems, especially in the context of school and the kindergarten transition. More specifically, Bridget is interested in (1) training teachers in order to increase their knowledge and use of evidence-based behavioral management practices in the classroom, (2) the dissemination of evidence-based behavioral management strategies in early education classrooms, (3) preparing children at-risk for behavioral problems, and their families, for the transition to kindergarten, especially in under resourced community settings, and (4) understanding parent behaviors as they relate to the trajectory of child anxiety problems. Poznanski, B., Hart, K.C., & Cramer, L. (under review). Are teachers ready? Preservice teacher knowledge of classroom management and ADHD. Poznanski,B., Cornacchio, D., Coxe, S., Pincus, D.B, McMakin, D., & Comer, J.S. (2017). The link between anxiety severity and irritability among anxious youth: Evaluating the mediating role of sleep problems. Child Psychiatry and Human Development. Cornacchio, D., Bry, L., Poznanski, B., Sanchez, A.L. & Comer, J.S. (2017). Psychosocial treatment and prevention in early childhood conduct problems. In J.E. Lochman & W. Matthys (Eds. ), The Wiley Handbook of Disruptive and Impulse-Control Disorders. Wiley Press. Furr, J.M., Comer, J.S., Villodas, M.T., & Poznanski, B, & Gurwitch, R. (in press). Trauma and child psychology: From risk and resilience to evidence-based intervention. In J.L. Butcher, J. Hooley, & Kendall, P.C. (Eds. ), The APA Handbook of Psychopathology. Poznanski, B. (2016). Research to practice: Promoting successful transitions to kindergarten for children with behavior problems. Journal of Early Intervention, 1-3. Hart, K. C. & Poznanski, B. (2016). Attention deficit hyperactivity disorder: Risk for. The SAGE Encyclopedia of Abnormal and Clinical Psychology. Comer, J.S., Bry, L., Poznanski, B., & Golik, A. (2016). Children’s mental health in the context of terrorist attacks, ongoing threats, and possibilities of future terrorism. Current Psychiatry Reports. Cheatham-Johnson, R., Poznanski, B., & Hart, K.C. (2015, September). Promoting family literacy and a positive home learning environment. Presented at the Children’s First Literacy Conference, Miami, FL. Poznanski, B., Feinberg, L., Pincus, D.B., & Comer, J.S. (2017, November). (Dis)cordance inparental accommodation across mothers and fathers of anxious youth. Poster to be presented at the annual meeting of the Association for Behavioral and Cognitive Therapies, San Diego, CA. Sanchez, A. L., Cornacchio, D., Poznanski, B., Golik, A., Chou, T. & Comer, J. S. (2017,November). The effectiveness of school-based mental health services delivered by school personnel: A meta analytic evaluation. To be presented at the annual meeting of the Association for Behavioral and Cognitive Therapies.San Diego, CA. Poznanski, B., Crawley, M., Egan, R., Fox, A., Graziano, P., & Hart, K.C. (2017, April). Preschool teacher knowledge and opinions about Attention-Deficit/Hyperactivity Disorder. Poster presented at the 2017 Society for Research in Child Development Conference, Austin, TX. Crawley, M., Poznanski, B., Hart, K.C., & Graziano, P.A. (2017, March). The relationship between parent education level and quality of shared book reading for preschool children with externalizing behavior problems. Poster presented at the 2017 Florida International University Undergraduate Research Conference, Miami, FL. Poznanski, B., Cramer, E., & Hart, K. C. (2017, February). Preservice teacher knowledge and opinions about attention-deficit/hyperactivity disorder and behavioral principles. Poster presented at the 2017 Miami International Child and Adolescent Mental Health Conference, Miami, Florida. Poznanski, B., Cornacchio, D., Pincus, D. B., Comer, J.S. (2016, October). Sleep mediates the relationship between anxiety and irritability among clinically anxious youth. Paper presented at the Association for Behavioral and Cognitive Therapies, New York, NY. Albano, A. M., Poznanski, B., Bennett, S. M. (2016, October). When Anxiety Traps Emerging Adults and Their Parents: Developmentally-Informed CBT for the Failure to Launch. Mini Workshop presented at the Association for Behavioral and Cognitive Therapies, New York, NY. Poznanski, B. & Hart, K. (2016, May). Preschool teacher knowledge and opinions of attention deficit/hyperactivity disorder (ADHD) and the impact on ratings of child impairment. Presented at the South Florida Child Psychology Collaborative Research Conference, Miami FL. Poznanski, B., Cheatham-Johnson, R.J., & Hart, K.C. (2016, September). Next Stop: Kindergarten! Preparing Students with Behavior and Learning Challenges for a Successful Transition. Presented at the Children’s First Literacy Conference, Miami, FL. Cheatham-Johnson, R., Poznanski, B., Scaramutti, C., & Hart, K.C. (2016, September). Examination of Associations between Oral Reading Fluency and Inattention/Overactivity and Opposition/Defiant Symptoms in Young Children At-Risk for Learning and Behavior Disorders. Poster presented at the National Conference in Clinical Child and Adolescent Psychology Biennial Meeting, Lawrence, KS.